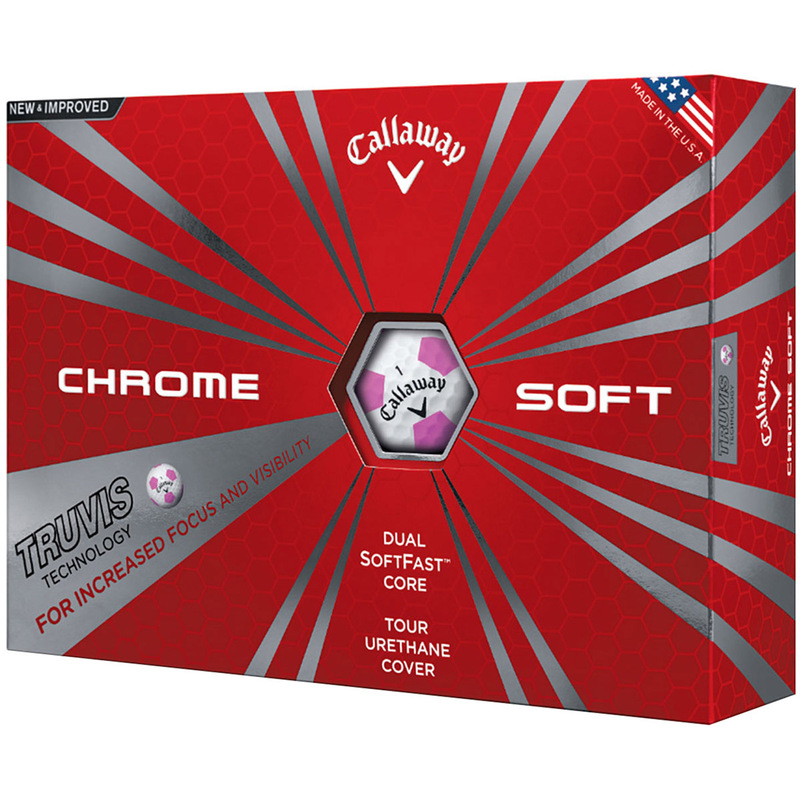 Buy 2 Callaway Chromesoft Golf Balls for 55€ Discount applied at checkout. The Chrome Soft Truvis golf balls produce exceptional distance, more control into the green, and an incredibly soft feel. This 4-piece ball completely redefined golf ball performance and elevated it to a higher level. 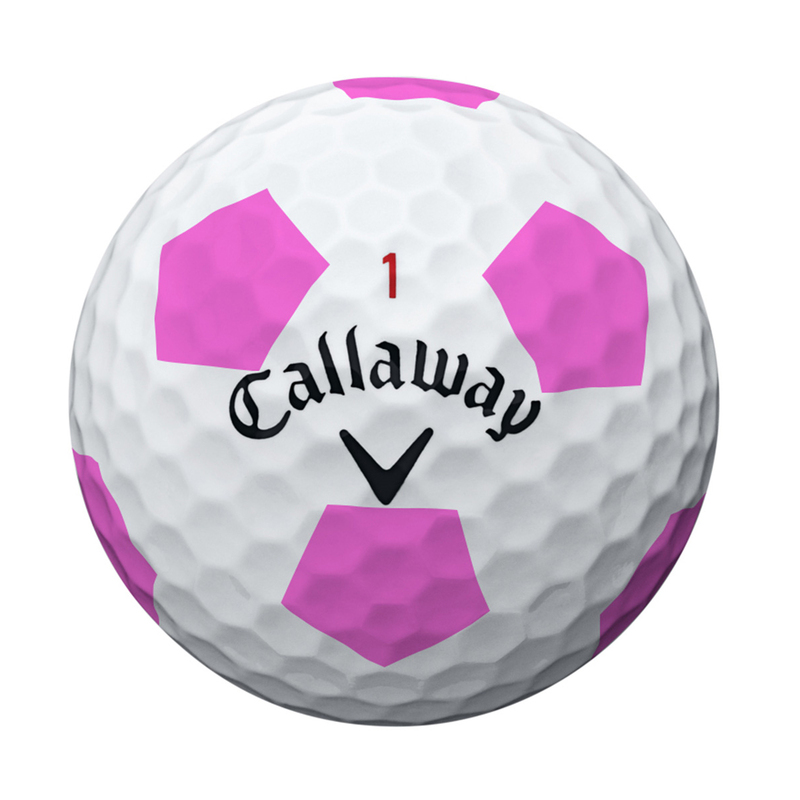 Callaway Golf have designed the ball to maximise your view of the golf ball, with a red and white Truvis™ pattern which increases your focus and visibility. The Dual SoftFast Core has an incredible soft feel lets you compress the ball on iron shots for long, straight flight, with amazing feel around the greens. With Chrome Soft, you’re getting more ball speed off the tee, more control from your scoring clubs, and incredibly soft feel. Optimized HEX Aerodynamics makes the ball flight even better with a 332 dimple HEX pattern and Tour Urethane Cover which combine for even more control.